Introduction. Operations and Design. Regulations and Certification. Research and Development. The Future. Concluding Remarks. Steven J. Landry, Ph.D., is an associate professor and the Associate Head in the School of Industrial Engineering at Purdue University, with a courtesy appointment in the School of Aeronautics and Astronautics. At Purdue, Dr. Landry conducts research in air transportation systems engineering and human factors, and teaches undergraduate and graduate courses in human factors, statistics, and industrial engineering. 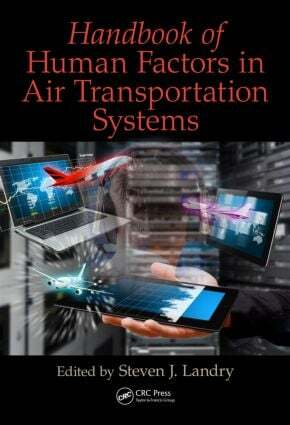 Dr. Landry's research has been primarily focused on systems analysis and human factors for the Next Generation Air Transportation System. Dr. Landry has published over 80 peer-reviewed journal articles, conference papers, and book chapters, including book chapters on human-computer interaction in aerospace, flight deck automation, and aviation human factors. Prior to joining the faculty at Purdue, Dr. Landry was an aeronautics engineer for NASA at the Ames Research Center, working on air traffic control automation. Dr. Landry was also previously a C-141B aircraft commander, instructor, and flight examiner with the U.S. Air Force. He has over 2,500 heavy jet flying hours, including extensive international and aerial refueling experience.